Manufacturer : Noctua. ASIN : B00KF7T9MI. UPC : 842431012449. The NF-A8 is a highly optimised, premium quality quiet 80mm fan. The ULN version provides super-slow 1400/1100rpm speed settings for ultra-low-noise applications and highly noise sensitive users who demand near-silent operation. 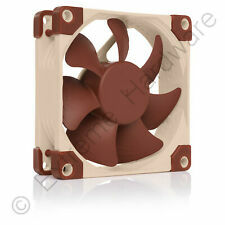 80mm Noctua NF-A8 FLX Non LED, 7 Blade, Upto 2000RPM, Upto 50.4m³/h Airflow, 16. The NF-A8 is a highly optimised, premium quality quiet 80mm fan. The FLX version provides 2000/1650/1200rpm speed settings via the supplied Low-Noise Adaptors in order to provide full flexibility in fine-tuning the fan for maximum ventilation performance or near-silent operation. 5 out of 5 stars - 80mm Noctua NF-A8 FLX Non LED, 7 Blade, Upto 2000RPM, Upto 50.4m³/h Airflow, 16. 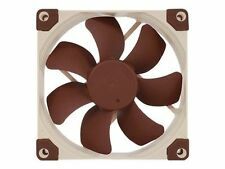 1 product rating1 product ratings - 80mm Noctua NF-A8 FLX Non LED, 7 Blade, Upto 2000RPM, Upto 50.4m³/h Airflow, 16. Trusted Noctua quality with premium-grade SSO2 bearing and more than 150.000 hours MTTF, backed up with 6-year manufacturer's warranty. 3-pin ULN version with 1400rpm (1100rpm with supplied Ultra-Low-Noise Adaptor) for serious silent enthusiasts who demand the utmost quietness of operation. 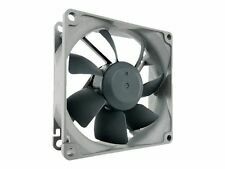 Premium quiet fan, 80x80x25 mm, 5V, 4-pin PWM, max. 2200 RPM, max. 17.7 dB(A), >150,000 h MTTF. Includes anti-vibration mounts, fan screws, extension cable and OmniJoinTM adaptor set for connection to proprietary fan headers. The NF-A8 is a highly optimised, premium quality quiet 80mm fan. Its superb running smoothness, reference-class SSO2 bearing and Noctua’s trusted premium quality make it an elite choice for the highest demands. The NF-A8 is a highly optimised; premium quality quiet 80mm fan. The FLX version provides 2000/1650/1200rpm speed settings via the supplied Low-Noise Adaptors in order to provide full flexibility in fine-tuning the fan for maximum ventilation performance or near-silent operation. Noctua NF-R8 redux-1200, 3-Pin, High Performance Cooling Fan with 1200RPM (80mm, Grey). Streamlined redux edition: proven Noctua quality at an attractive price point, wide range of optional accessories (anti-vibration mounts, S-ATA adaptors, y-splitters, extension cables, etc.). Product information NF-R8 REDUX PWM 1800RPM 80mm Quiet Case Fan. Streamlined redux edition. Custom designed PWM IC with SCD. Connector 4-pin PWM. Rotational Speed (PWM, ±20%) 325 RPM. Accessories Four Fan Screws. Streamlined redux edition: proven Noctua quality at an attractive price point, wide range of optional accessories (anti-vibration mounts, S-ATA adaptors, y-splitters, extension cables, etc.). 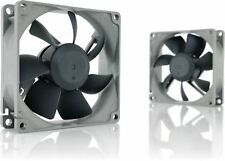 High performance cooling fan, 80x80x25mm, 12 V, 4-pin PWM, max. The NF-A8 5V PWM is a PWM-enabled 5V variant of Noctua's award-winning; premium-quality NF-A8 80mm fan. 6-year manufacturer's warranty Noctua fans are renowned for their impeccable quality and outstanding longevity. 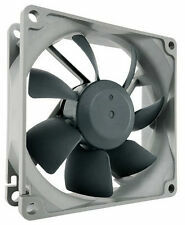 NF-A8 FLX Fan - 80mm The NF-A8 is a highly optimised, premium quality quiet 80mm fan. The FLX version provides 2000/1650/1200rpm speed settings via the supplied Low-Noise Adaptors in order to provide full flexibility in fine-tuning the fan for maximum ventilation performance or near-silent operation. Product information NF-A8 PWM 80mm Premium Quality Fan. Specifications NF-A8 PWM. Fan Connector 4-pin PWM. Rotational Speed (PWM, ±20%) 450 RPM. Input Power 0.96 W. Acoustical Noise 17.7 dB(A). Airflow with L.N.A. 25.8 CFM. NF-A8 ULN Fan - 80mm The NF-A8 is a highly optimised, premium quality quiet 80mm fan. The ULN version provides super-slow 1400/1100rpm speed settings for ultra-low-noise applications and highly noise sensitive users who demand near-silent operation. The NF-A8 is a highly optimised, premium quality quiet 80mm fan. Featuring Noctua’s AAO (Advanced Acoustic Optimisation) frame as well as sophisticated aerodynamic design measures such as Flow Acceleration Channels, the NF-A8 further improves the renowned quiet cooling performance of the award-winning NF-R8. The NF-A8 5V is a NF-A8 80mm fan. Featuring an AAO (Advanced Acoustic Optimisation) standard frame and sophisticated aerodynamic design measures such as Flow Acceleration Channels, the NF-A8 is renowned for its superior performance and outstanding quietness of operation. The NF-A8 5V PWM is a NF-A8 80mm fan featuring an AAO (Advanced Acoustic Optimisation) standard frame and sophisticated aerodynamic design measures such as Flow Acceleration Channels, the NF-A8 is renowned for its superior performance and outstanding quietness of operation. The NF-A8 is a highly optimized, premium quality quiet 80mm fan. It comes with a Low-Noise-Adaptor to limit spinning speeds, and features advanced aerodynamic design – AAO frames, Flow Acceleration Channels, and Stepped Inlet Design. The NF-A8 is a highly optimized, premium quality quiet 80mm fan. Featuring Noctua’s AAO frame as well as sophisticated aerodynamic design measures such as Flow Acceleration Channels, the NF-A8 further improves the renowned quiet cooling performance of the award-winning NF-R8. The classic NF-R8 is a long-standing favourite among enthusiast users around the world and helped to found Noctua's reputation as a top-tier manufacturer of premium quality quiet cooling components. 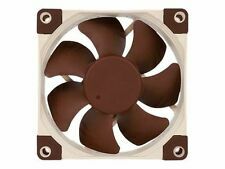 Six year manufacturer's warranty Noctua fans are renowned for their impeccable quality and outstanding longevity. The NF-A8 5V PWM is a PWM-enabled 5V variant of Noctua’s award-winning, premium-quality NF-A8 80mm fan. By providing smoother torque impulses, SCD suppresses PWM switching noises and thus makes the fan quieter at lower speeds. The NF-A8 5V is a dedicated 5V version of Noctua’s award-winning, premium-quality NF-A8 80mm fan. Topped off with the included USB power adaptor cable, OmniJoin™ adaptor set and 6-year manufacturer’s warranty, the NF-A8 5V is a premium choice for demanding 5V applications. The NF-A8 5V is a dedicated 5V version of Noctua's award-winning; premium-quality NF-A8 80mm fan. Topped off with the included USB power adaptor cable; OmniJoin adaptor set and 6-year manufacturer's warranty; the NF-A8 5V is a premium choice for demanding 5V applications. The classic NF-R8 is a long-standing favourite among enthusiast users around the world and helped to found Noctua's reputation as a top-tier manufacturer of premium quality quiet cooling components. The 1800rpm version is ideal for efficient case ventilation or other applications that demand an even balance of performance and quietness. The NF-A8 is a highly optimised; premium quality quiet 80mm fan. Its superb running smoothness; reference-class SSO2 bearing and Noctua's trusted premium quality make it an elite choice for the highest demands. Noctua's fans are known for their flawless quality and outstanding longevity. The Noctua NF-A9 5V The Noctua NF-A8 5V in detail. The fan features the enhanced second generation of Noctua's proven SSO storage systemfitted. Model: NF-A8 FLX. Manufacturer's SKU NF-A8 FLX. Arctic F8 Silent (80mm) 3-Pin Case Fan with Standard Case. Arctic F8 PWM 80mm Case Fan. StarTech 80x25mm Dual Ball Bearing Computer Case Fan with TX3 Connector. Noctua NF-A8 DLU Fan for PC . 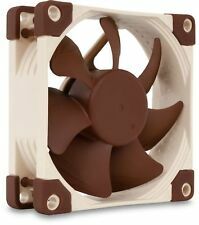 Noctua NF-R8 redux-1800 PWM Computer case Fan - computer cooling components... .